Insane Robots (game, 2018). A roguelike, turn-based strategy video game by Playniac. Developed by Playniac. Official Trailer. Insane Robots is a roguelike, turn-based strategy video game by Playniac, developed by Playniac. 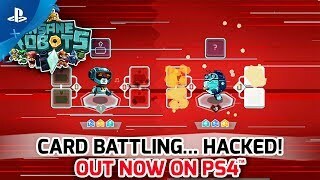 Insane Robots - Launch Trailer | PS4. Fight to the DEATH in this unique card battler. Compete in intense one-on-one duels. Lead a riotous robot rebellion through randomly generated survival arenas. Overthrow a malevolent robot despot in the epic 15+ hour single-player campaign. 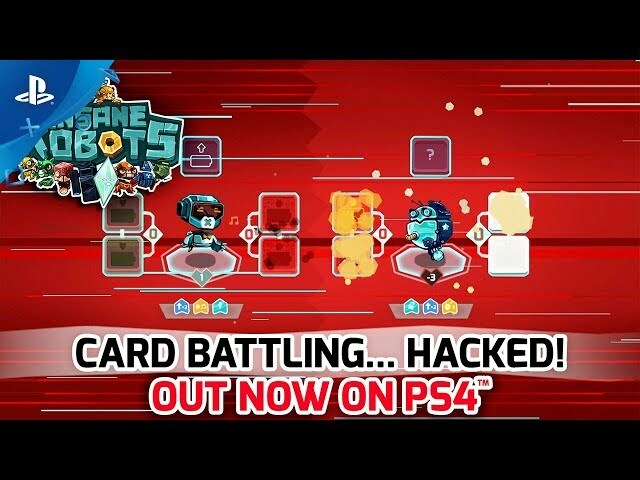 Insane Robots is card battling... HACKED! Master the 22 token battle deck and develop your strategies in super-accessible local two-player, online two-player, and single-player robotic skirmishes. Deploy HACKS and GLITCHES in the heat of battle. Use all your cunning to terminate the competition. Climb the leaderboards and conquer the robot world. Battle with a collection of 46+ deliciously diverse robots in five hostile environments. Augment the devious droids as you go, to become increasingly formidable. Embark on an epic journey filled with peril and twists as a decaying robot dystopia reveals itself over eight replayable tournaments. Trade cutting, robotic insults as you fight. Obliterate the competition in relentless overkill. 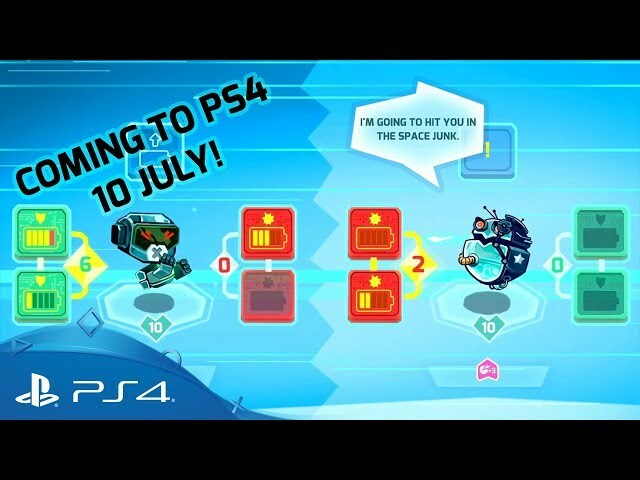 Insane Robots was scheduled to be released by Playniac on July 10, 2018, on July 12, 2018 and on July 13, 2018. This video game is available for the following platforms: Microsoft Windows, MacOS, PlayStation 4, Xbox One. The game had received E rating and PEGI 7 rating.